With these first test flights we are able to evaluate the system design. The first results are promising: We were able to connect the different systems, collect suitable data to do the next steps in the development. 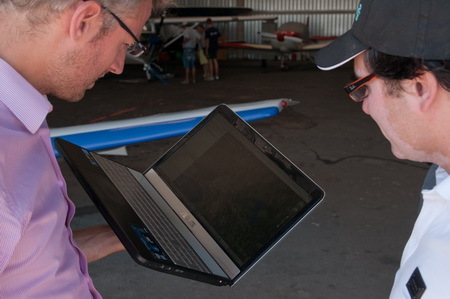 In the next weeks we will process all the data of the flights and make a connection between the position on the ground and the reflected signal to calculate the relative soil moisture. That has to be connected with the ground measurements to make absolute soil moisture content of it. The ground antennas measured the reflected GNSS signals for several weeks. This data is used in the validation of the test flight. 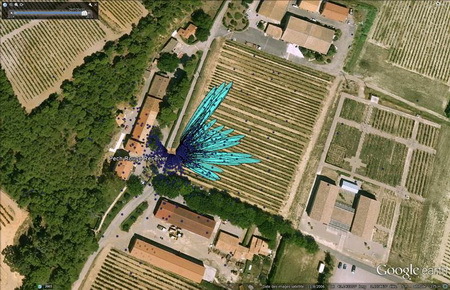 On the image below the measured points from the GPS constellation (dark blue points) are displayed. In light blue the 1st Fresnel surfaces. 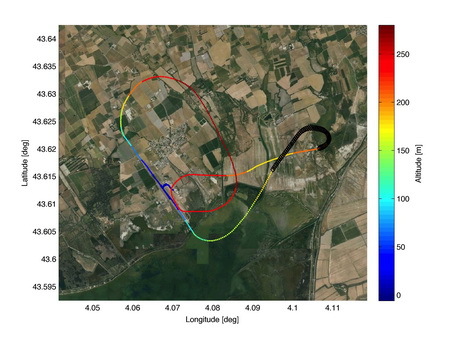 On the right image you see the aircraft trajectory of one of the test flights. In black the position of the GNSS-R data recording. In the graphics the first extracted results of the first test flight. 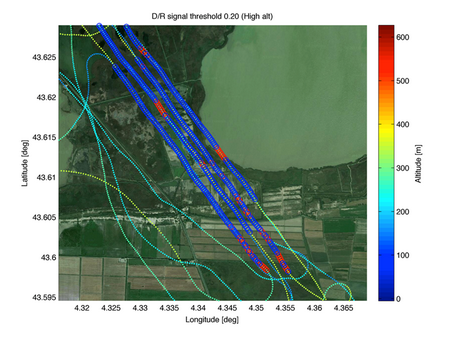 The graphics shows the reflection of only one GNSS satellite out of all the satellites that ware visible and recorded by the Mistrale equipment. The difference in areas with high and low moisture content are good visible. Now we use the results from the field equipment to calculate exact values for all the reflection points of all the satellites and draw a soil moisture map. The first results of that are visible in the right image. The test flights were conducted on two different altitudes. With a higher altitude the measured area is bigger but what is the impact on the quality of the soil moisture map? In the figure above you see some first results of this test. 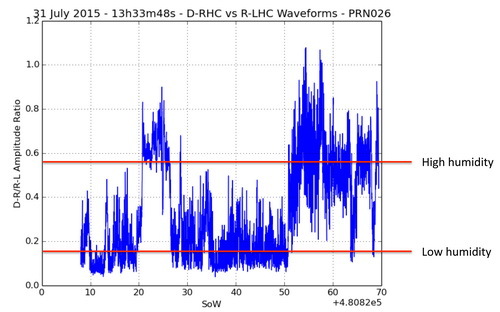 There is certainly a difference in signal threshold. In the next weeks we hope to process all the data and update the web site with more results.